Painting of Samuel Agnew, PHS collections. Samuel Agnew was born in central Pennsylvania in 1820. He moved to Philadelphia and is reported to have made a lot of money early in his life in publishing. According to William L. Ledwith’s Historical Sketch of the Presbyterian Historical Society , Agnew was a member of the firm Sorin and Ball and owned the copyright to the Peter Parley histories . Peter Parley was a character in a popular series of children’s history books—an old Bostonian with a crooked hat who enjoyed entertaining children with stories about history and geography. By 1856, seven million copies of Peter Parley books  were in print. 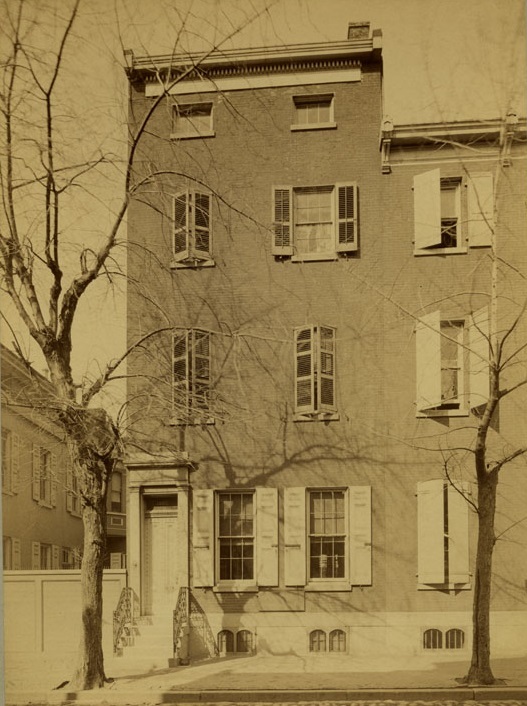 Agnew received enough money from the Parley stories that he could retire, possibly before the age of 40, to volunteer full-time at the Presbyterian Historical Society in Philadelphia, which was founded in 1852. He would go on to serve as the sole staff member of the PHS library for over 25 years. In the South, it was Rev. Samuel Tenney, a Texas minister, who steadily built interest in Presbyterian historical collections. Whereas Agnew was a wealthy man, Tenney spent much of his life struggling to support his family as a traveling pastor. Tenney was born in Crockett, Texas, in 1871, the son of a Presbyterian minister. From his ordination in 1893 until 1923, he was the stated supply for ten different churches. He also served as chaplain for the state prison and the Hospital for the Insane in Rusk, Texas. His wife, Mary, helped make ends meet for the Tenneys and their three children by teaching music and working as a reporter. Like Agnew, Samuel Tenney was an avid bibliophile. His love of books began while rummaging through second-hand shops in Texas. On one occasion, he found manuscripts by Rev. Robert Lewis Dabney , a Presbyterian minister, chief of staff to Stonewall Jackson during the Civil War , and founder of Austin Theological Seminary . The manuscripts included class notes that Dabney took while he attended Union Theological Seminary  in Richmond, Virginia. The shop owner told Tenney he could have the manuscripts for free because they were about to be thrown out. Today, those notes are housed at Columbia Theological Seminary  in Decatur, Georgia. Tenney started to collect more miscellaneous items, often paying for delivery of church records at his own expense. At first, his primary interest was Presbyterian history in Texas. He formed the Presbyterian Historical Society of the Synod of Texas in 1903—the same year he became a life-long member of the Presbyterian Historical Society in Philadelphia. 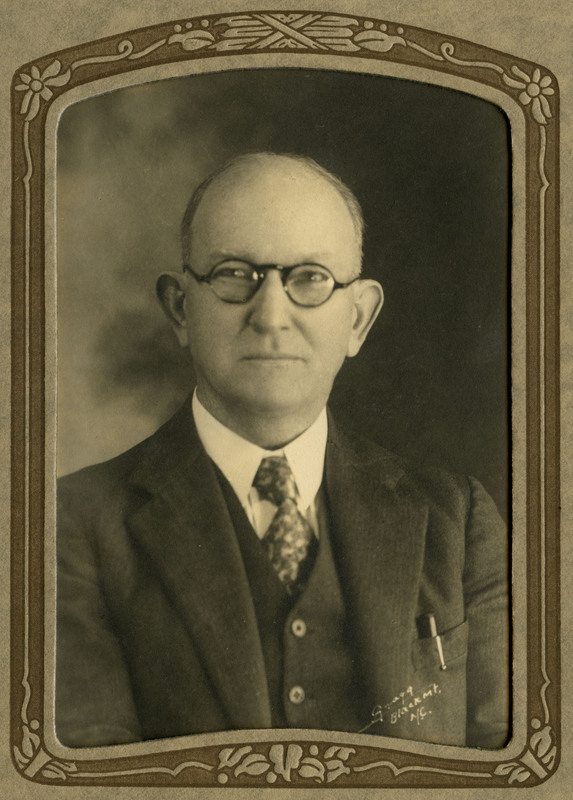 He made appeals to synods and congregations throughout Texas asking them to deposit their records with the historical society. It was an uphill battle, with many records being held by private individuals who refused to part with them. Although the Presbytery of West Texas passed a resolution in 1907 stating that sessional records were the rightful property of churches, there was no enforcement to back up the resolution, and many of the records remained with individuals. Tenney worked with the Red Cross in East Texas during World War I and was infected with influenza . He recovered, but the influenza accelerated hearing loss he had suffered since he was a boy. His deafness became so acute he was unable to continue as a minister. Despondent, Tenney traveled to Princeton Theological Seminary  in 1924 to attend his class reunion. In route, he stopped at the Presbyterian Historical Society in Philadelphia, then headquartered in the Witherspoon Building, and met Dr. Louis Benson, the Society’s librarian. Learning that Dr. Benson was also deaf proved a turning point in Tenney’s life. “I felt at once as if I had found a real place of service for a deaf man,” he later wrote. Inspired, the Tenneys decided to turn Samuel’s hobby into a new career. Tenney found a home for the Historical Society of the Synod of Texas at the old Texarkana National Bank building. To help pay for the costs of running the historical society there, Samuel and his son went on the preaching circuit in Texas, copying church records wherever they went. By this time Tenney had expanded the society’s mission to collect and preserve the history of American Presbyterianism in the South and the West. In 1925, Tenney offered the General Assembly of the Presbyterian Church in the United States (the largest “Southern” Presbyterian denomination) his collection, as long as “condition be made for its continuance and development.” This was the same year that the Presbyterian Church in the U.S.A. (the largest “Northern” Presbyterian denomination) designated the Presbyterian Historical Society in Philadelphia as the Department of History . In 1926, the PCUS General Assembly accepted the Tenneys’ collection and hired them to oversee it. The Presbyterian Historical Society of Texas was renamed the Historical Foundation of the Presbyterian and Reformed Churches and moved to Montreat, North Carolina. 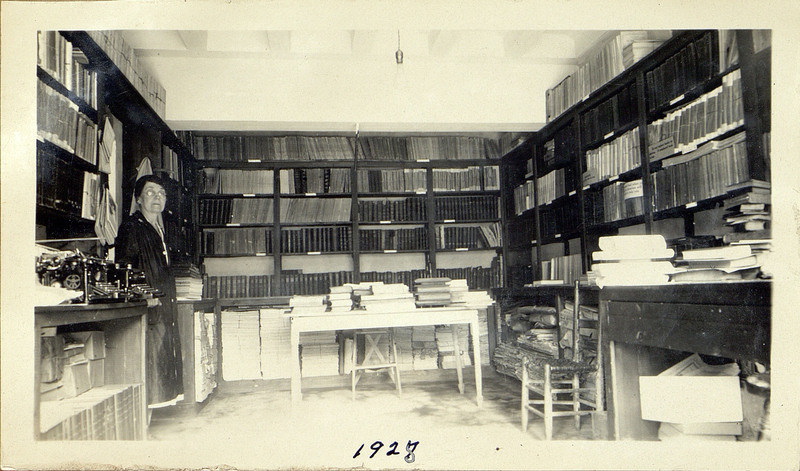 In 2006, eighty years after the founding of the Historical Foundation in Montreat, the Montreat facility closed as an archives--it continues today as a conference and heritage center --and the bulk of its paper collections were moved to Philadelphia. Researchers today can access most of the collection items acquired by the two Samuels in one building .